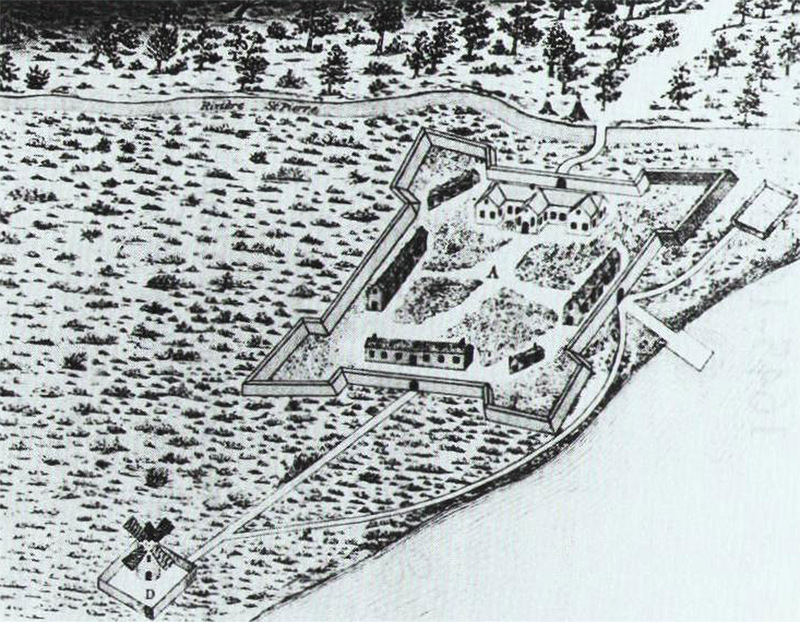 Fort Ville-Marie, also known as Fort Montreal, in 1645 (drawn in 1884, so one imagines some artistic license at work). Fort Ville-Marie was the nucleus of what would become the city of Montreal. The fort was in use from 1642 to 1674, and was demolished in 1688.